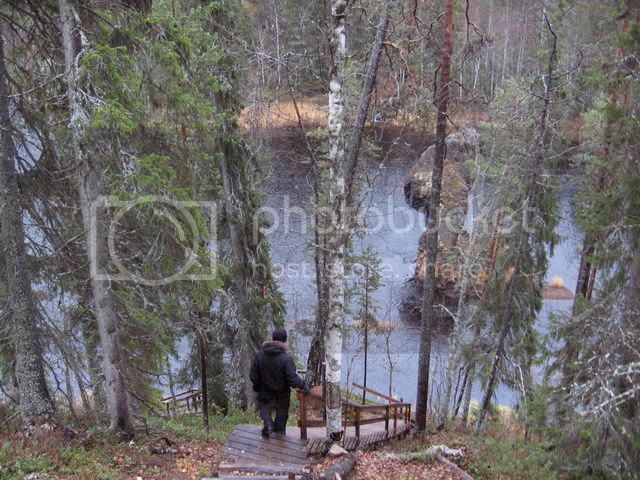 The Karhunkierros ("The Bear's Round" literally, or "Bear trail" more freely translated) is Finland's most popular and famous trail. 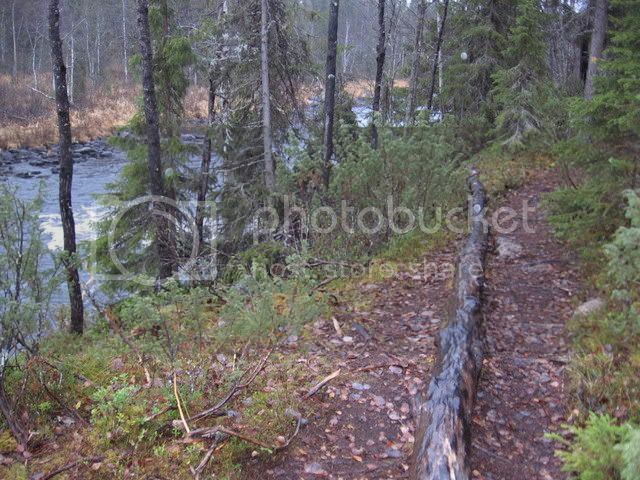 Its 80 km lead through the unique landscapes of the Oulanka National Park. 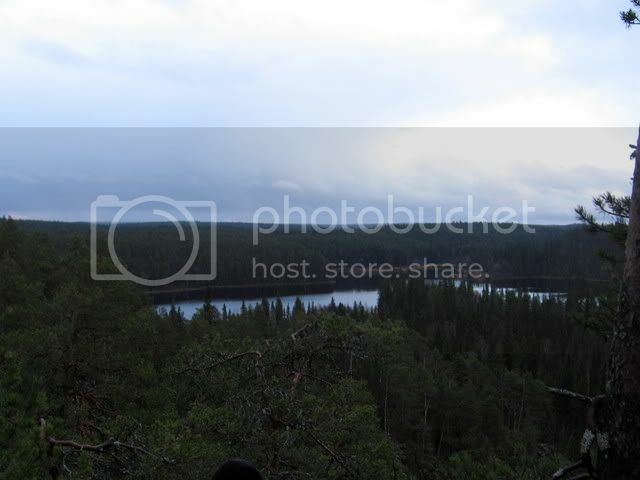 You are walking nearly constantly close to water, be it lakes or rivers, through forests and swamps, and you will be climbing some of the Finnish hills. You can walk it from north to south or vice versa, and Martin and me took the "natural" approach of N -> S. Its even possible to traverse some parts with a canoe or rowboat, and I guess it shouldn't be long before one sees packrafts going down the rivers - it would be a supreme place for it. You're allowed to fish between May and September, a day pass is about 15€ and you can get them in the Visitors Centres. Because its a National Park, the "Everyman's Right" is valid (as almost everywhere in Finland, will talk more about this in a later post) with some reservations: you should try to stay on the paths, and leave flora & fauna undisturbed. You may collect berries and mushrooms, and fires are allowed at the fireplaces if there's no forest fire warnings. Common sense stuff pretty much, which should be known by a responsible backpacker. The trail is very well marked, and you're able to find a lean-to shelter or a "Mökki" = cottage every 5 to 15 km, with plenty of rest areas + fireplaces in between. I would say its difficulty is medium, the last 8 km into Ruka are a bit more exhausting because you're going over a few hills. On the map you can see, its very close to Russia, so if you go off-trail, be sure you know what you're doing! Orange is the Karhunkierros trail. The blue line is the Keroharjun trail, which is recommendable because of the free sauna and cottage on the trail. Its also less popular than the Karhunkierros, thus if you're looking for some peace and quiet it might be a good alternative. I'll cover another time how you can get to Finland and get around here, lets now look how to get to Kuusamo. VR is the Finnish railway company, and they're pretty good though expensive. The trip from Tampere to Oulu takes about five to six hours, and there you hop on the bus to Kuusamo. Busses are cheaper and are very punctual. Good service all around. Oulu to Kuusamo takes around three hours. 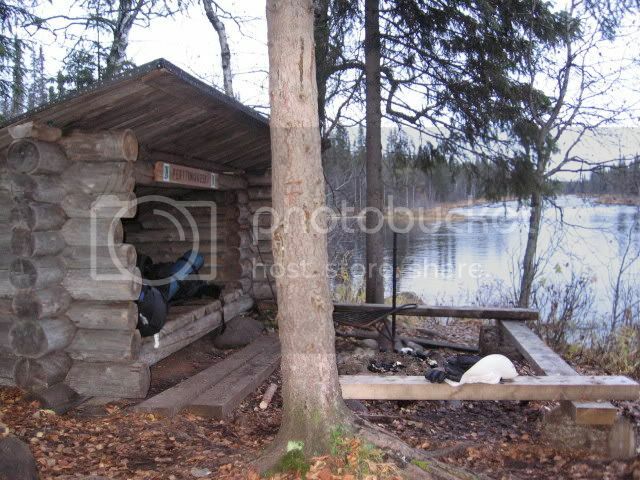 I recommend taking the overnight train and then the first bus to Kuusamo. If you're in a hurry, you also can fly. Helsinki - Kuusamo has a connection, and Finnair flies you in less than an hour there. 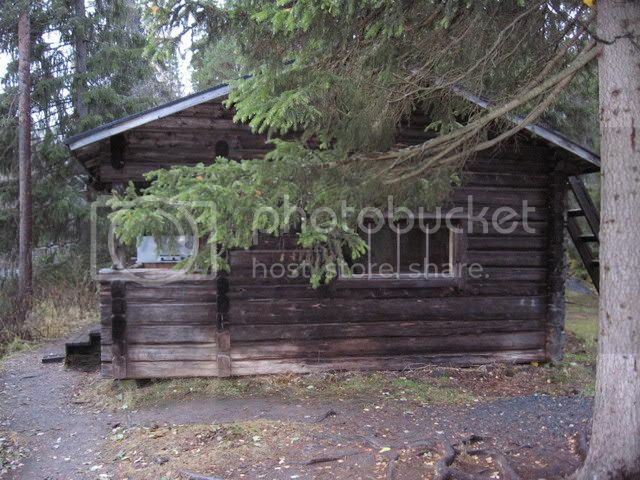 Now you're in Kuusamo. From here you can take the local bus up to Hautajärvi, where the northern starting point is, or to Ruka, the southern starting point, or in our case, finishing point. Its one and the same bus, so you can't do much wrong. Its a short ride, about twenty minutes to Ruka and an additional 25 min. to Hautajärvi. I recommend asking the bus driver from Oulu to Kuusamo about the connecting bus, they usually will know or call their office to inform themselves to let you know. Return trip is the same, just the other way around =) I recommend writing down some bus and train connections for your "check-out" day, so you know before hand and don't need to spent time waiting. Martin and me started our Tour on October 4th 2008. We took the night train to Oulu, had a tea at the station and hopped on the 8 o'clock bus to Kuusamo, where we arrived at 11 o'clock. There we waited for the connection bus up to Hautajärvi, where we arrived at 14.30 o'clock. Quick some photos of us at the polar circle before we started walking. On our first day we took it easy, and after about one and half hours we arrived at our first campsite, the Perttumakoski Laavu. 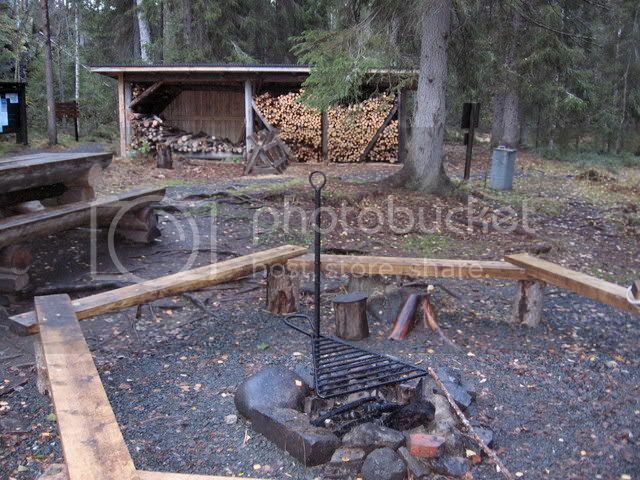 Laavu is Finnish for lean-to shelter, and these, as well as the cottages, are for free and are maintained by the Finnish Forestry Ministry. After a cup of coffee and a small breakfast we started walking. The first sight was just a short walk off the path, so we made a quick trip there. Me going down to the Rupakivi, the first sight of the day. We made good way, and arrived at around 16.00 o'clock at the Savilampi Mökki, where we were planning to stay for the night. 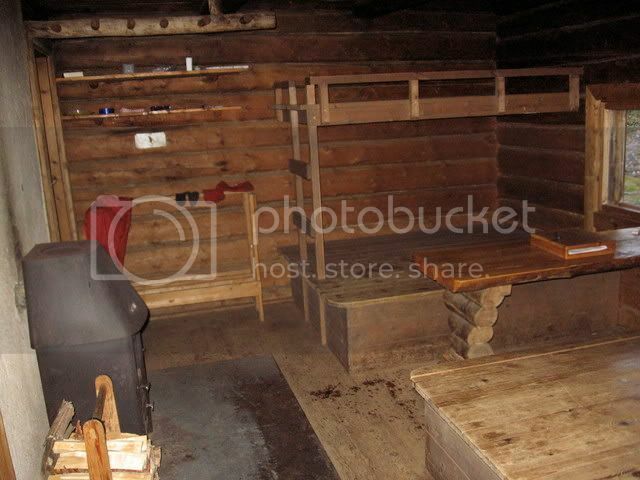 ... and the wood shelter and fireplace in front of it. 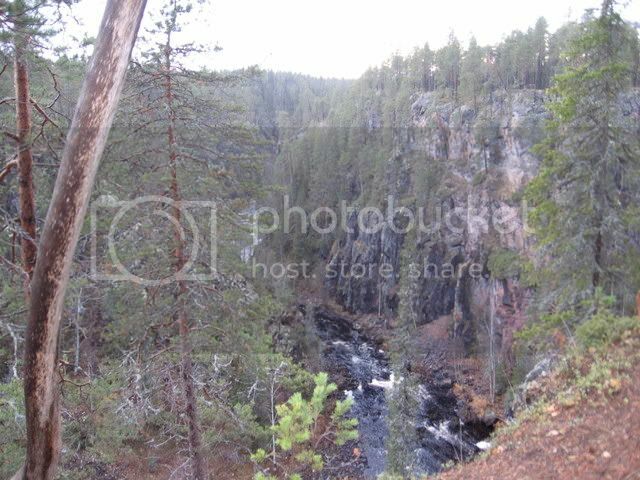 The Savilampi cottage is located close to the Oulanka canyon, which we decided to explore. After all, we only walked 14 km today! And the view from it. After a quick dip in the river, which was freezing cold, I sat down to have a closer look at the map. It was then, around 18.00 o'clock, that I realized that we should walk 22 km the following day to reach our next campsite. Because we like to take it easy, and also enjoy something of the landscape, we decided then and there to pack up and walk another 4 km to the next cottage, so that we could take it easier the following day. Thus so we walked in the dusk for another hour until we reached the Taivalköngäs cottage, and we were lucky, there was still a bunk free. After a delicious dinner - we were starving! - we went to sit outside with two women, and the sky cleared out and the stars were shining down on us. We slept well that night, although some folks already got up at six in the morning and they weren't especially silent, but oh well. We tried to ignore it as good as possible, and slept for another hour or two before we got up.